To create an account of the Company, click on “Masters > Account > Account Creation”. 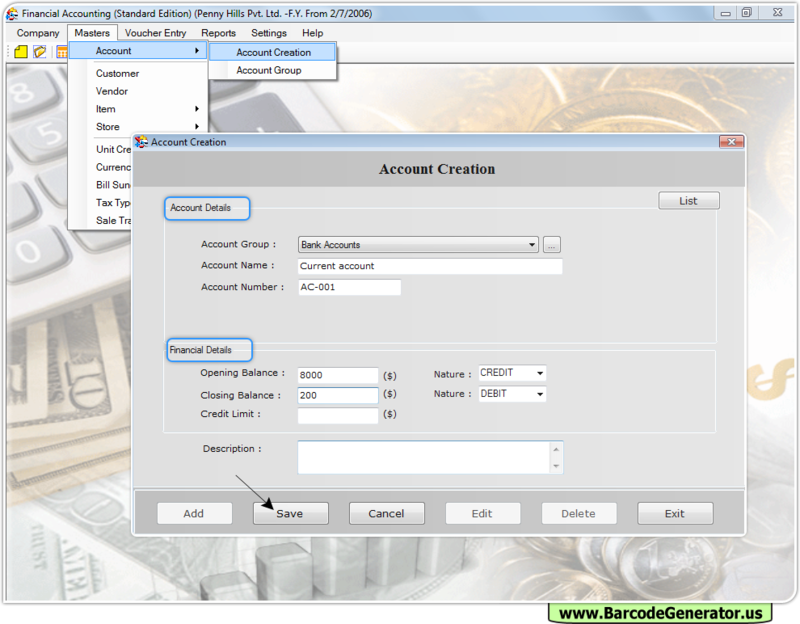 Fill Account Details, Financial Details and Description. To create Vendor Account, click on “Masters > Vendor”. Fill Vendor Details, Financial Details and Description.